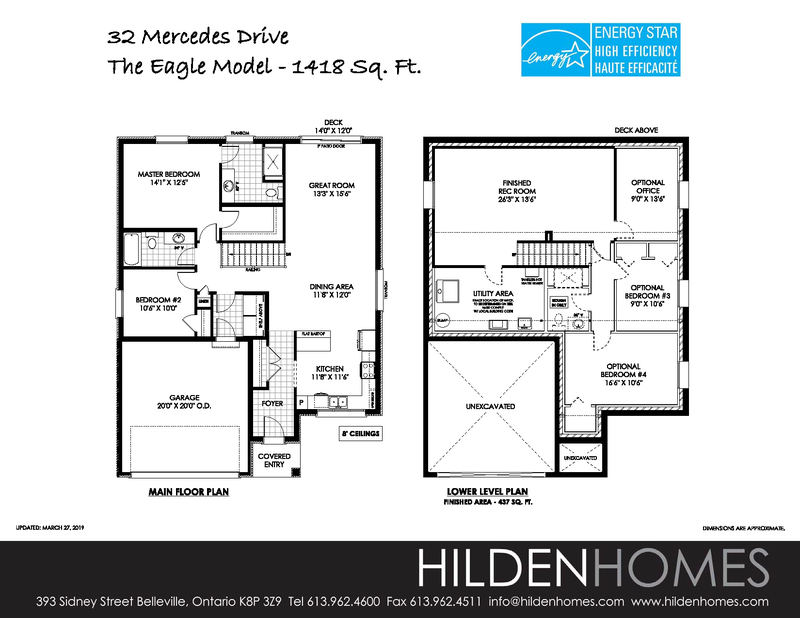 The Eagle Model is a charming bungalow style home. 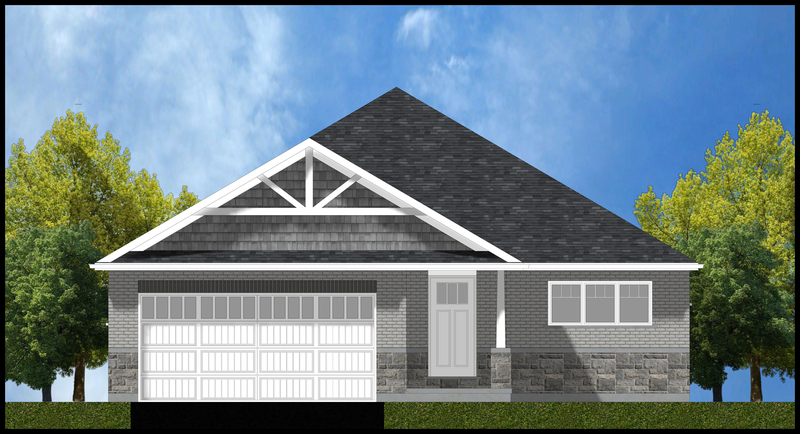 The front door opens from a covered porch into a generous foyer with a large entry closet. The kitchen is directly connected to the foyer and it overlooks the front yard. The kitchen is a large space featuring an abundance of counter space, including an island with additional seating provided by a flat bartop. The dining area is a wide space situated between the kitchen and the great room. The great room features a grand patio door leading to a rear deck. An open stairway creates a hall off of the dining area, which leads to the bedrooms. The second bedroom is situated at the end of the hall, passed a mudroom with garage access, and beside the main bathroom. Just around the bend of the hallway, there is the entry to the master suite. The master suite features a large walk-in closet and a generous, private ensuite. A large rec room is finished on the lower level. The rest of the lower level remains unfinished. Optional Lower Level: Office, two bedrooms and a bathroom. Distances and measurements are approximate and subject to correction. Prices are subject to change without notice. Buyer should verify any material facts. You deserve the security of a home built to the highest standards of quality and design, constructed by professionals with proven building experience.